General Motors’ Indian subsidiary and the US Department of Energy are collaborating with an Indian research institute to explore the use of Jatropha for large scale production of biodiesel. Talking to a business daily, GM India’s President Karl Sylm said that his company is seriously considering large scale Jatropha plantation and biodiesel production for automobiles. The company has identified 83 acres of land in the western state of Gujarat and the formal announcement of partnership with the Central Salt & Marine Chemicals Research Institute is expected soon. The company has a factory in Talegaon, Maharashtra where it experimented with Jatropha plantation over an acre of land. The pilot project was aimed at understanding the technology, yield and other characteristics of Jatropha-based biodiesel. Mr. Slym did not disclose the results of the project in his interview but looking at the company’s plans it seems that GM is gearing up for a much larger presence in the biofuels sector in India. The biofuels sector in India is in its early stage of evolution. Although there are enormous biomass resources and the government has a biofuels policy in place, the management and administrative part of the implementation of that policy is a major hurdle. According to the government policy, no edible crops can be used for biofuel production. This is an important part of the policy since the country is yet to recover from the food crisis of 2009 and people are still struggling in the face of sky-rocketing food inflation. It is evident that the American and Brazilian ways of biofuel production from edible crops like maize, corn and sugarcane would fail drastically in India and the government recognizes that. Therefore, it has turned to Jatropha for large scale biofuel production. 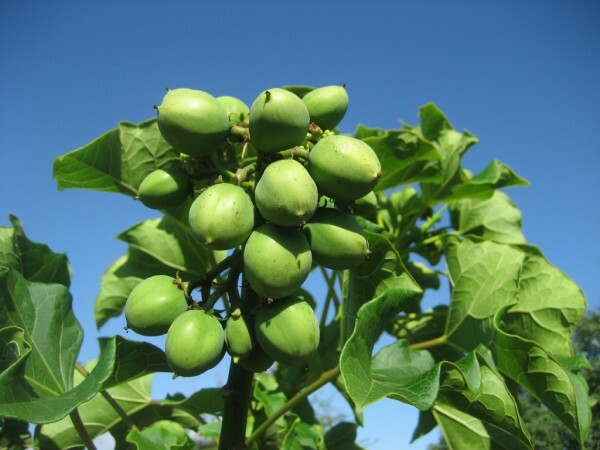 Jatropha is a non-edible crop that can be grown on wasteland which solves the issue of agricultural land being excessively used for biofuel crops instead of food crops. But a major problem in India is the procurement of land. The government had to face fierce resistance from social groups when it tried to free up land to set up Special Economic Zones throughout the country for stimulating economic growth and attracting investments. With algal-based biofuels still at the research stage, biofuels from non-food crops seems the only way India could move ahead with the implementation of its biofuels policy. And General Motors is planning to make the most of this opportunity. While refusing to confirm the launch of biofuel-based automobiles in the near future, Mr. Slym said that his ‘company is keen to explore alternative fuels for Indian roads in the future’.